Like many who may be eyeing up this latest arcade racer release, I was a huge fan of Burnout’s classic era back on the PlayStation 2, culminating with Revenge on the Xbox 360. It was a slice of pure anarchic joy compared to the serene but sterile Gran Turismo, and recalled the chaos of even earlier titles like Destruction Derby. Most fans of the series have been waiting for another Burnout or a decent spiritual successor to arrive. Many were not keen on the open-world direction that the final entry of the series took in Burnout Paradise. So there was quite a lot of interest building up towards Dangerous Driving, a clear sequel in all but name from former Criterion developers. Unfortunately nostalgia can only take you so far. Dangerous Driving looks the part on the forecourt, but a quick look under the hood reveals a lot of broken parts and uninspiring design choices. First, the good points. If you want a pure PS2-era Burnout experience — warts and all — this is the closest you can get to that experience without hooking up the classic console directly. This really is a clone — everything looks familiar, from the menu fonts to the modes and the barely-concealed fake car models. A lot of key race types are here, and bring back memories of childhood — Elimination and Road Rage are thrilling joy-rides of carnage when they work. Driving at wildly irrational speeds into traffic and wondering when you’re going to explode is always a delight, even if the experience is otherwise bare. It’s also very easy to jump into — there’s no messing around with hundreds of car types and customisations, you just work up through a series of increasingly powerful car categories, each with a selection of four rides to unlock with slightly different tuning setups for different race types. The problem is that nothing I’ve mentioned above is more than a superficial thrill, and the fundamentals in Dangerous Driving are just too broken to justify a long-term commitment. Before we even address the bugs, Dangerous Driving lacks any kind of soul and it just makes those problematic moments all the more frustrating. The various tracks on offer are so often repeated and so generic looking that it’s genuinely hard to tell which track you are on, or if you’re just on a different section of one massive track. There’s a silly amount of glare at play for a game trying to be as straightforward as possible — the car left the road more often because the digital sun was blinding me in the sky or reflected off of the poorly textured road, than actually making a mistake or getting hit by a rival. The game occasionally captures the thrilling spirit of the original, but not for long. There’s also the problem of handling. The car just does not feel connected to the road in any meaningful way. Most third-person open-world action games with a driving component have crunchier road contact than on display here, to the point where it’s hard to gauge speed or turning by feel — you might as well be in a hover car. This takes away a lot of the tension and drama, and even the pay-off isn’t as spectacular as it could be — there’s barely any multi-car pile-ups in busy traffic here, most crashes are just one car crashing directly into another to a dead halt, or just flying off indefinitely into a textureless skybox. There are only two views to choose from — first-person near the road and a mid-length third-person view — and neither feel particularly comfortable because of a strange angle that puts too much emphasis on the immediate road. AI on other cars is severely under-developed too, with cars mostly staying in a set pack and rarely attacking or reacting to the chaos unfolding — if the game behaves, it’s pretty easy to beat every track after a few tries. A lack of Crash Zones and multiplayer, two of the standout memories from the good old days of Burnout, completes the sense of disappointment. For all its bright beachside locales, the world of Dangerous Driving is simply cold and uncompelling. Even the classic Aftertouch lacks the explosive drama of the original series. 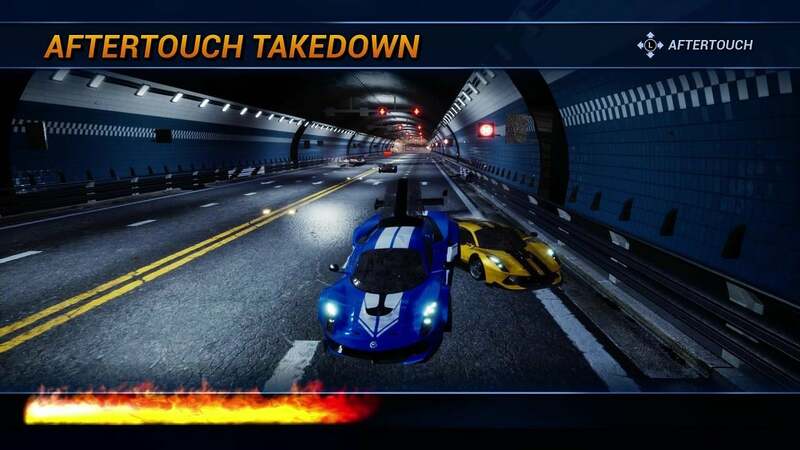 The Burnout adrenaline hit survives all of these gripes, but it cannot survive the game's plethora of bugs and performance issues. I fully intended to clear every car class in the title, but the project had to be abandoned before any more controllers were smashed. It seems that the higher the top speed of the vehicle class, the worse the game’s performance, to the point where two or three mid-tier Coupe Class races are proving impossible to complete. Every single tunnel section has significant frame rate stutter, anywhere up to a second or two. Invisible obstacles cause crashes in mid-air, while other obstacles fail to make the car explode as expected — instead bringing the car to a dead halt that takes longer to recover from than a dramatic slow-mo crash would. Frequently the car will bounce 180 degrees after hitting a truck head on, sending the player zooming off at full speed the wrong way for hundreds of metres and then exploding while scraping the barrier during a U-turn. 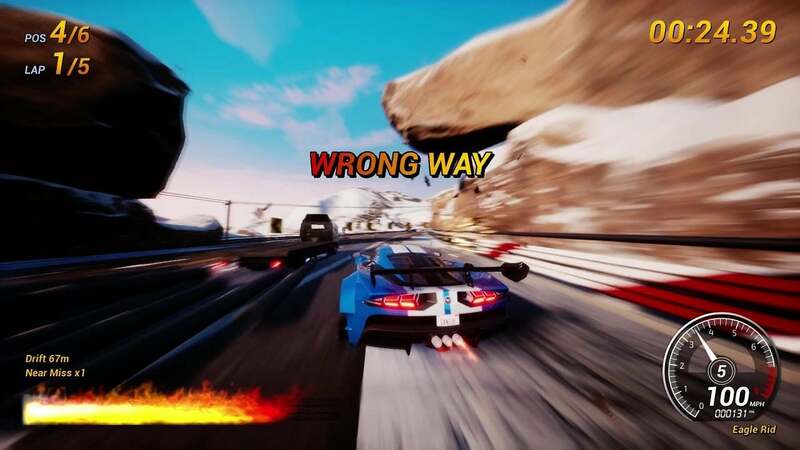 Non-competitive traffic often visibly sank through the tarmac, only for the player vehicle to somehow still hit it in the featureless negative space beneath the game world. With the AI often reduced to staying in a tight 5-car pack, each of these frequent unfair incidents can send the player from first to last in the blink of an eye. When this happens on one of several unnecessarily long race tracks, it can be enough to turn off the console in disgust — if the game doesn’t beat you to it by frequently crashing to the dashboard. The real shame is that there is potential somewhere underneath all of this awfulness. The Burnout DNA is clearly evident in the game’s scattered moments of playability. With a bigger budget, Dangerous Driving could at least sort out its fundamental performance flaws. That said, there’s a reason Burnout eventually fizzled out — it failed to evolve. 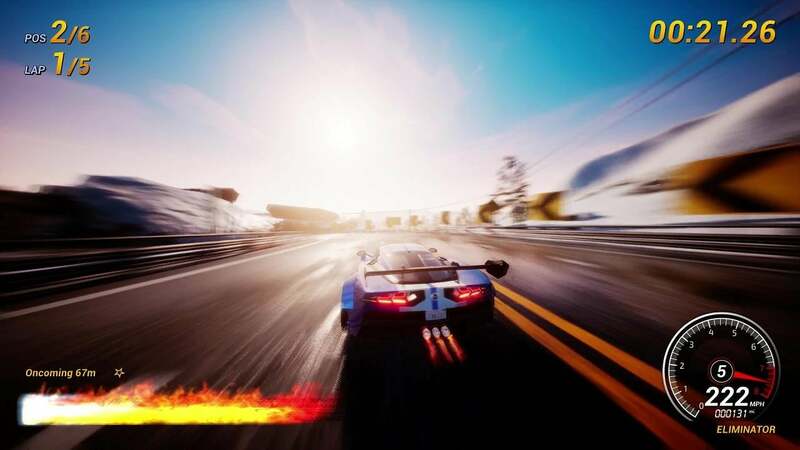 Dangerous Driving is too close a clone of a game that was eventually muscled out by much more entertaining experiences, whether that’s the less chaotic thrills of a Forza Horizon or the more wilfully bonkers race modes in a Grand Theft Auto. The achievements are fairly uninspiring too, though not that difficult to get through provided you can get the game to behave long enough. You just need to get gold in every event — not even the top tier result, as there’s a hidden Platinum award for some event types — and drive every car for a good while. There are a couple of special requirements in the mix such as winning a Road Rage without ever crashing, but you’ll likely unlock such things on the way to getting all of the medals. 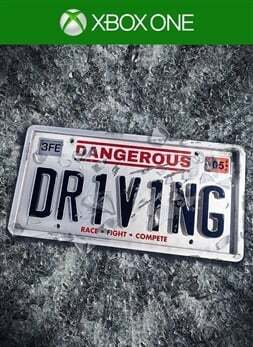 Dangerous Driving aims to be a clone of a classic yet sorely outdated driving franchise, and it succeeds in that mission to an extent. PS2-era design methodology is present throughout, and adrenaline thrills take centre stage over fluid design, creativity or accessibility. The game might even get away with being a cheap but cheerful throwback, if it wasn’t for the horrendous bugs and performance issues plaguing the experience exponentially as the races get faster. It’s hard to recommend this to anyone unless you’re sorely desperate for a new Burnout game. If anything, Dangerous Driving might leave you pining for a decent sequel more than ever. The reviewer spent seven hours fighting through traffic to earn 17 of the game's 40 achievements. 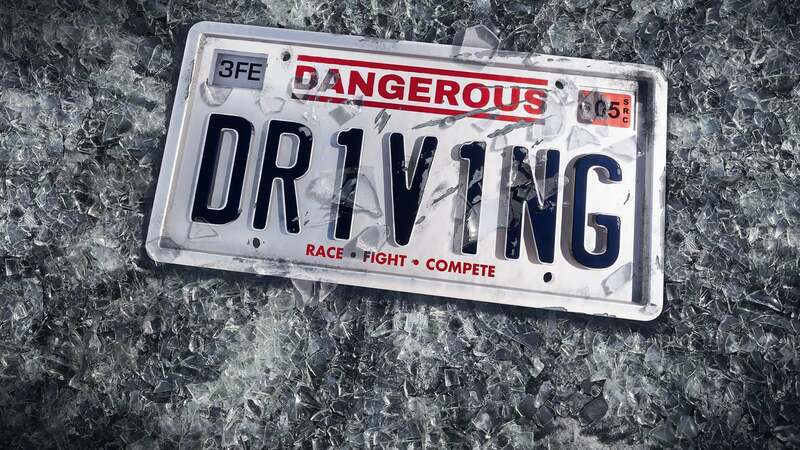 An Xbox One digital code was provided by the Dangerous Driving team.